Our new app lets you order a taxi in just 3 taps! We now have a smartphone app meaning that even when you are on the go, you can book a car with us with just a few clicks. To take advantage of this new and fantastic service, just click on the button below and we will send the app download link directly to your phone. Alternatively, you can find our app by searching for “Fairway and Kenwood” on the app store. We've lowered all our prices! Fairway & Kenwood Cars, celebrating its 30th anniversary, offer the highest quality services for both passenger cars and courier transportation. Open an account with us to enjoy perks such as priority over cash paying customers. Just click here and enter your number. We’ll call you back about any recruitment opportunities. Follow us on Social Media to find out about our latest news, offers and promotions. To read a complete list of the benefits and perks you will get by opening a Fairway and Kenwood account, Click Here. Download either one of the Business or Personal Forms listed below. Email us the completed form or send it to us by fax using: 020 8343 0838. Your account will be opened on the same day, and you will receive a welcome pack in the post. Have an enquiry or want to contact our Head Office? Use this form to contact us. Alternatively, just leave your name and number below and we'll call you back as soon as we can. So leave your name and number below and we will call you back as soon as possible. Enter your name and number below and we will send our app download link straight to your mobile phone. Below you can find all the reasons why you should open an account with Fairway and Kenwood. From priority status over cash paying customers to fixed prices regardless of the route or time taken, opening an account offers great prices and convenience to you or your business. We are proud of our portfolio of corporate, media and blue-chip company Account Holders. They provide the ultimate test of our efficiency, courtesy, discretion and service delivery. Best of all, as a Fairway & Kenwood account customer, you are always in total command of your hire car services. Our “Web Booker” facility gives you an even greater degree of control - you can book and check on progress without even lifting the phone. See for yourself by giving our Web Booker a try. You may open an Account in one of two ways. • or print it off and fax back on 020 8343 0838 Your account will be opened on the same day, and you will receive a welcome pack in the post. If you would like to discuss your requirements with one of our sales executives, please call the team directly on 020 8343 3000 or email accounts@fairwaykenwood.co.uk. Please Note: Account prices are different from cash prices and are subject to VAT. We have been providing quality service to our very prestigious corporate, media and blue chip clientele for decades. Our clients are the ultimate catalyst of our evolution and we never relax in our efforts to maintain the highest possible standard of service. Fairway & Kenwood account holders enjoy priority status, on-line booking facilities, 14 days credit and, above all, the luxury of our outstanding service. Our “postcode to postcode” charging system ensures cost effectiveness and consistent charging. Being an account holder of Fairway & Kenwood, you are assured of extra care. When you open an account with us, we will allocate you a personal account number. Simply quote your account number when booking a car and we will do the rest. You will receive a monthly-itemised invoice for our charges, which is guarantee to beat any mini cab company's prices by 10 to 15% (conditions apply). Easy, convenient and cost effective travelling. This section contains information on the history of Fairway and Kenwood and the types of services that we offer. Fairway & Kenwood Cars, celebrating its 30th anniversary, specialises in offering the highest quality services for both passenger cars and courier transportation. We have become a market leader in private hire passenger transport services offering a range of vehicles and services including Passenger transport, Executive travel, Airport Meet and Greet and Event or Road Show management services to businesses. We have over 250 vehicles ranging from saloon, estate, executive and multi-person vehicles - all fitted with the latest state of the art despatch data systems linked to our Satellite Global Positioning Tracking Systems. This gives us the exact location of all our vehicles and enables us to pick-up anytime, anywhere, offering an on-demand service 24 hours a day and 365 days a year. We cover the whole of Greater London and all major airports including Heathrow, Gatwick, Stansted, Luton and London City Airport. Unlike most companies who give you an average quote, where they charge for dead mileage, our pricing system generates a fixed price from ‘street to street’. Our fares are very competitive, so why not try us for your next booking? Our experience, coupled with our passion for excellence enables us to deliver an unparralled level of service to our clients. We pay particular attention to detail on driver training, health & safety, the environment and corporate social responsibility matters. We have both the resources and experience to provide The Complete Transport Solution. We are continually striving to improve the quality of our services to customers and developing new and enhanced services which meet the varying needs and budgets of our existing and potential customers. The diversity and flexibility of our services, together with our rates are the ideal choice for anyone looking for professional passenger and courier transport services. It all goes to make a journey with Fairway & Kenwood private hire that little bit more simple, straightforward and enjoyable. Please have a look through our services and do not hesitate to get in touch with any queries. 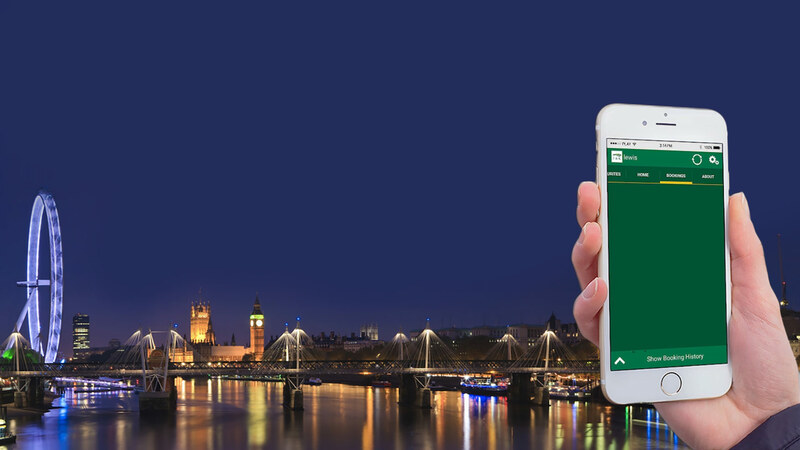 With a fleet of over 250 vehicles located all over London, we are one of the few Companies that can offer a 15 minutes pick-up time within London and suburbs. All Fairway & Kenwood drivers are licensed by the Public Carriage Office. They are security checked, trained and wear shirt, tie and jacket and carry identification cards at all times. They also carry Fairway & Kenwood passenger name boards for ease of identification at airports. They can find the best route to get you to your destination on time. You may choose to receive a text alert when your cab is on its way and another when it is waiting outside. The text contains the car's make, model and registration details as well as driver's mobile number, allowing passengers to feel certain they are getting into the right vehicle and enabling all of our clients to speak directly to the driver if they wish to do so. 2.1 The Company shall supply and the Passenger shall agree to accept the service in accordance with any quotation or offer of the Company which is accepted by the Passenger, or any reservation of the Passenger which is accepted by the Company, subject in either case to these Conditions, which shall govern the Contract to the exclusion of any other terms and conditions subject to which any such quotation is accepted or purported to be accepted, or any such reservation is made or purported to be made, by the Passenger. 2.2 A contract will only come in to being upon the acceptance of the Company of the reservation and the following conditions shall be deemed to be incorporated in the contract. The passenger accepts these terms & conditions by placing a reservation, booking with the Company via but not limited to the Company, web site, via telephone, or via any representative agent. 2.3 The Contract will be subject to these conditions. The Company reserves the right to revise these terms & conditions at any time without prior notice at its sole discretion. Any revised terms and conditions will be posted on the Company’s web site and will come into effect 1hour after posting. 2.4 No reservation submitted by the passenger shall be deemed to be accepted by the Company unless and until confirmed by the Company by providing the passenger with a unique reference number. 2.5 The specification for the services shall be those set out in the Company’s sales documentation unless varied expressly in the passengers reservation (if accepted by the Company). The service will only be supplied as stated in the company’s price list. Reservations received other than these will be adjusted accordingly. Illustrations, photographs or descriptions whether in the website, brochures, price lists or other documents issued by the company are intended as a guide only and the contents shall not be binding on the Company. 2.6 The Company reserves the right to make any changes in the specification of the services which are required to conform with any applicable safety or other statutory or regulatory requirements or, where the services are to be supplied to the Company specification, which do not materially affect their performance. 2.7 Sub- contracting companies are not authorized to make any representations or claims concerning the service unless confirmed by the Company in writing. In entering into the Contract the Passenger acknowledges that it does not rely on, and waives any claim for beach of, any such representations, which are not so confirmed. 2.8 No variation to these Conditions shall be binding unless agreed in writing by email, telephone or otherwise between the authorized representations of the passenger and the Company. 2.9.1 The company’s acceptance and allotment of unique reference number. 2.9.2 Delivery of the service. 2.10 Any typographical, clerical or other accidental errors or omissions in any literature, quotation, price list, acceptance of offer, invoice or other document or information issued by the Company shall be subject to correction without any liability on the part of the Company. 2.11 The price of the Service shall be the price listed in the Company’s published price list current at the date of acceptance of the passengers reservation or such other price as may be agreed by the Company and the passenger. 2.12 Where the Company has quoted a price for the service other than in accordance with the Company’s published price list the price quoted shall be valid for 24 hours only or such other time as the Company may specify. 2.13 The Company reserves the right, by giving notice to the Passenger at any time before delivery, to increase the price of the service to reflect any increase in the cost to the Company which is due to any factor beyond the control of the Company (such as, without limitation, any foreign exchange fluctuation, currency regulation or alteration of duties, any change in delivery dates, quantities or specifications for the service which is requested by the Passenger, or any delay caused by any instructions of the Passenger or failure of the Passenger to give the Company adequate information or instructions. 2.14 The Company reserves the right to use the services of contractors or sub-contractors (herein known as third parties) to provide services to Passengers. Where appropriate details i.e. names, addresses of any such third parties will be provided by the Company upon any reasonable request and at the discretion of the Company. 2.15 Reservations made for service on the following dates will be subject to an additional surcharge of 50% on published prices: 24, 25, 26, December & 1 January. 2.16 A maximum time of 1 hour for address collections & 3 hour's for airport collections will be allocated, whereupon non-contact with passengers will classify the reservation to be a no show & will be subject to clauses 3.2 & 4.3. 2.17 All payments that are made in any other form than cash (pounds sterling) to the Company for the provision of service & on any confirmed reservations made with the Company directly or indirectly will result in a charge (booking fee) to the passenger of 3.00 sterling (in addition to any cash payment & or discounted price) and additional charge of 3.00 will be levied for payments by card. In the case of credit card your card will be charged before or on the day of the journey. In the event of a cash booking you may pay the driver cash (GBP), but the card details will only serve to secure the booking, or may be charged for instance of a cancellation or `or no show. However the company reserves the right to refuse payments by card and insist upon cash payments only. 3.1 The Company’s prices are based on Passengers being ready to travel at the booked time. Passengers must book their airport transfer in accordance with check in times and guidelines provided by their relevant airline. 3.2 All meets apart from airports waiting time are free for the first 10 minutes; thereafter you will be charged 25p per minute on the entire waiting time. An airport meets: 30 minutes free waiting time from the time of landing or otherwise specified, thereafter you will be charged 25p per minute. (There is no additional charge for flight delays). If we pick up from a UK address the drive will wait up and till 15 minutes after the time the booking was made for. If we are unable to make contact with the passenger (ringing the doorbell and calling the contact phone number) we will pull the driver away and the passenger will be responsible for the full cost. At the airport our driver will meet you at the information desk in the arrivals terminal. The driver will be holding a name board clearly displaying the booking contact name. You will then be escorted to a conveniently parked vehicle and driven to your destination. At the airport the driver will go in 30 minutes after international/intercontinental flights and 15 minutes after European flights (unless the passenger has specified otherwise) He will wait at the information desk in the arrivals terminal. The passenger has 30 minutes waiting time for free thereafter. If the driver fails to make contact the driver he will put a call out for the passenger. If the passenger fails to show 30 minutes thereafter we will pull the driver away and the passenger will be liable for the full price. If the passenger has been waiting at the information desk of the airport and fails to make contact with the driver, the passenger should call the company so as to arrange how to meet. Passenger should not just leave the airport without the company’s consent and they do so it will be regarded as a 'no show' and the passengers are liable for full price. 3.3 Fares quoted are flat rates. Fares quoted that are not booked will have a validity of 24 hours. The Company reserve the right of altering any prices without prior notification however any quote/booking confirmed by the Company will remain binding. There is a charge for additional stops on the way and are generally subject to a minimum of 5 per stop (not diversion). 3.3.1 Any diversion on the journey must be specified while making booking and we will reconfirm the price for the journey including your diversion as soon as possible. 3.3.2 The drivers are competent and have a good working knowledge of London and strive to take the shortest possible route on that specific day. If you may need to make another stop on the way the passenger will need to give 12 hours prior notice. If on the way the passenger suddenly needs to make a stop or there is optional extras they would like to take that was not booked in advance then it is up to the discretion of the driver to see if it is possible to comply with the request., they might need to pay cash for it and sign with the driver. 3.4 Neither the Company nor any of its contracted or sub-contracted drivers will accept responsibility for loss or damage to luggage. Passengers are responsible for ensuring that their luggage is loaded/unloaded at all times, if accompanying the luggage on the journey. The Company & or its contracted or sub-contracted drivers have the right to refuse any passenger or to make the journey due to the passenger having excess luggage which would result in the vehicle being unsafe whilst in motion. 3.5 Vehicles are booked by Passengers as requested. Vehicles to carry a larger no of passengers & luggage are available & are to be booked as required; Prices of journeys also depend on the size of the vehicle. The driver will have the right to refuse any passenger who has excess luggage, which would result in the car being unsafe while in transit. The passenger has to make sure that the correct sized vehicle is booked according to the guidelines set out and to notify us of any excess luggage. The driver will kindly assist you to load your luggage if you prefer, but he or the company is not responsible for any damages to passenger’s luggage. Luggage limits are common sense gauges based on experience and a reasonable assessment of a safe maximum loaded vehicle. It is understood that the cases in relation to the space available in any one vehicle determines the quantities that can be accepted in addition to the passengers. However the following maximum case/valise measurements in centimetres before expansion or those that we will use to finally settle any dispute relation to the loads requested to be carried and the company decision in this matter shall be final. Maximum luggage capacity as a rule will be reduced by 40% for large cases and increased by 40% for small cases. Strollers are counted as one normal luggage. Foldable wheel chairs are generally counted as one normal luggage. 3.5.4 The company provides the passenger the option of additionally booking a baby seat, which will be £5 extra to the prices quoted. The passenger must state the age of the child since we offer seats for children 12 months to 3 years old. Customers not requesting a baby car seat when booking, and found to be in need for one at pick up point may be refused service, and their full journey's fare becomes due, and charged from credit/debit card provided. 3.5.5 The babies/ children are regarded as passengers and therefore to book the vehicle size accordingly. 3.6 The Company, its Staff. Agents, sub-contractors reserve the right to refuse service to anyone who is deemed to be a nuisance or danger to the driver, passengers or vehicle. No compensation or refund shall be made to any one requested to the vehicle under such circumstances. 3.7 The Company adopts a no smoking policy and do not permit the consumption of alcohol in their vehicles. 4.1 No reservation which has been accepted by the Company may be cancelled by the Passenger except with the agreement in writing, by email, telephone or otherwise of the Company and on terms that the Passenger shall indemnify the Company in full against all loss (including loss of profit), costs (including the cost of all labour and materials used), damages, charges and expenses incurred by the Company as a result of cancellation. 4.2 Vehicles that are booked by Passengers that are not suitable for the purpose for which they have been booked for as in clause 3.5 will be subject to clause 4.3. Vehicles that are cancelled by passengers after reservation acceptance by the Company shall incur a £5.00 charge. 4.3 Cancellation's must be informed of a minimum of 24 hours prior to the time of booking by telephone. However we do monitor the flight for any delays and there will be no extra cost to the passenger if the flight has been delayed. If the passenger misses the flight coming into one of the UK airports, the passenger has to call us immediately and there will be no extra cost involved if the passenger calls at least 1 hour before the schedule arrival of that flight with their reference number. In other cases: Cancellation's informed 24 hours prior to the time of booking £5.00 cancellation charge incurred. Cancellation's informed 3 to 24 hours prior to the time of booking cancellation charge incurred: 15% of quoted price for provision of service subject to a minimum of £10.00. Cancellation's not informed up to 1 to 3 hours prior to the time of booking cancellation charge incurred: 25% of quoted price for provision of service subject to a minimum of £15.00. Cancellation's not informed up to 1 hour prior to the time of booking cancellation charge incurred: 100% of quoted price for provision of service. 5.3 Except as expressly provided in these Conditions, the Company shall not be liable to the passenger by reason of any representation, or any implied warranty, condition or other term, or any duty at common law or under statute, or under the express terms of the Contract, for any direct or consequential loss or damage sustained by the Passenger (including, without limitation, loss of profit or indirect or special loss), costs, expenses or other claims for consequential compensation whatsoever (and whether caused by the negligence of the Company, its servants or agents or otherwise) which arise out of or in connection with the supply of the services. 5.4 If clause 4.2 applies then without prejudice to any other right or remedy available to the Company, the Company shall be entitled to cancel the Contract or suspend any further deliveries under the Contract without any liability to the Passenger, and if the Services have been delivered but no paid for the price shall become immediately due and payable notwithstanding any previous agreement or arrangement to the contrary. 6.1 No waiver by the Company of any breach of the Contract by the passenger shall be considered as a waiver of any subsequent breach of the same or any other provision. ? 6.2 If any provision of these Conditions is held by any competent authority to be invalid or unenforceable in whole or in part the validity of the other provisions of these Conditions and the remainder of the provision in question shall not be affected thereby. ? 6.3 The company is not responsible for services offered by other companies as listed on our 'links' page. ? 6.4 The Contract shall be governed by the laws of England & Wales. ? Privacy and Security Policy We collect information about you for 2 reasons: firstly to process your booking and secondly to provide you with the best possible service. We will not send out marketing email to you in the future unless you have given us your consent. We will give you the chance to refuse marketing email from us or another trader in the future. The type of information we collect are: your name, address, phone number, email address and your credit/debit card details. We will not collect any other sensitive information without your explicit consent. The information we will collect about you will be secure. The information we hold will be accurate and up to date. You may check the information we are holding by emailing us. If you find any inaccuracies we will delete or promptly correct it. Fixed price fares must not deviate from the drivers chosen route. Any deviation will result in the journey reverting to a fare decided by Fairway & Kenwood Cars who will decide the charge according to the additional mileage and delay caused either by passenger or by the prevailing traffic conditions. After the flight has landed we allow 50 minutes (unless you choose your own arrival time on the booking e.g. send after 75 minutes) for passenger to arrive at Airport Information Desk. If this is exceeded then an extra amount for the additional waiting time will be charged on top of the original charge for the journey. The charge for the waiting time will be decided by Fairway & Kenwood Cars depending on the type of the vehicle being used for the particular journey. Any journey cancelled less than 24 hours prior to booked time will result in a charge to the customer’s credit/debit card. The amount to be charged in such situation will be decided by Fairway & Kenwood Cars depending on the pickup distance/place/parking or other charges subject to a minimum of £25.00. Any journey cancelled more than 24 hours prior to booked time will result in a £0.00 charge of the journeys amount to the customer credit/debit card. Fairway & Kenwood Cars cannot be held responsible for any loss financial, professional, missed connection times, flights, trains, due to the PHV not arriving at the pick-up address at the booked time due to adverse weather, traffic conditions, or road traffic accidents or road closures or being given the wrong booking information by the customer or customer booked it online and got the booking reference but customer did not get any confirmation from Fairway & Kenwood Cars . Customer must receive confirmation before the journey. Where journeys are booked from Airports, Train Stations, and Seaports the onus is on the passenger to locate the PHV and not the PHV driver to locate the passenger, on booking any such journey we will give a definite pick-up point that the passenger must locate, any failure on the passengers part to locate the PHV will result in a charge to the customer’s credit/debit card. The amount to be charged in such situation will be decided by Fairway & Kenwood Cars depending on the pickup distance/place/parking or other charges subject to a minimum of £25.00. Any fouling of the PHV by any passenger will result in a charge of a minimum of £25.00 dependent upon the severity of the fouling. Fairway & Kenwood Cars will prosecute any person who causes damage to any PHV booked through us. The driver has the right to refuse any passenger that he feels may be a threat to him/her or vehicle. The material contained in this web site is provided for general information only and does not constitute acceptance of any bookings that may be made. We accept no responsibility for loss which may arise from reliance on information contained in this site or from any PHV bookings made on this site. It is your responsibility to print and keep Fairway & Kenwood Cars and world pay credit card confirmations with you all the time because it has our telephone numbers printed and confirmation of your payment on it. It is your responsibility to inform Fairway & Kenwood Cars if you could not locate the driver or change of journey/plan or if you missed the flight/ferry/cruise connections. If you inform us the new flight/ferry/cruise details we will change the journey date/time without charge and we will charge you for that journey.